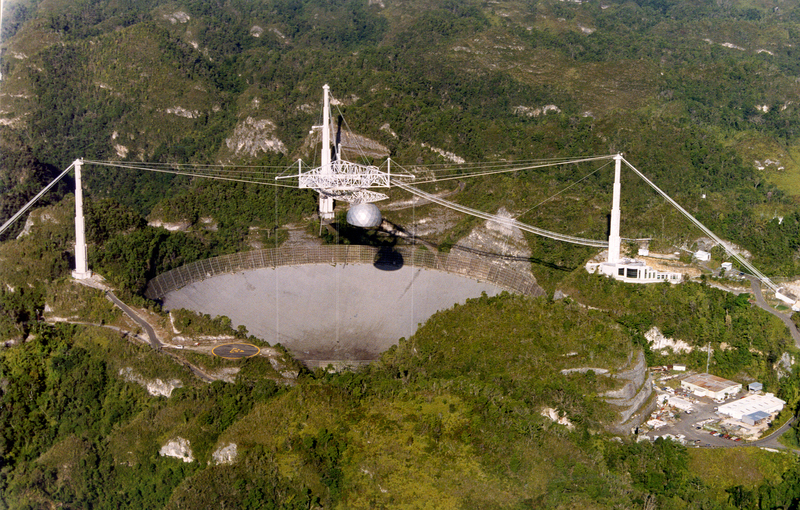 A new study with a different telescope, the Arecibo Observatory in Puerto Rico, concludes that the bursts are from outside the galaxy. This is the first time one of these bursts have been found in the northern hemisphere of the sky. Fast radio bursts are a flurry of radio waves that last a few thousandths of a second, and at any given minute there are only seven of these in the sky on average, according to the Max Planck Institute for Radio Astronomy. Their cause is unknown. They could be anything from black holes, to neutron stars coming together, to the magnetic field of pulsars (a type of neutron star) flaring up — or something else. The pulse was found Nov. 2, 2012 in the constellation Auriga. Astronomers believe it is from quite far away from measuring its plasma dispersion, or the slowdown of radio waves as they crash into interstellar electrons. This particular source had triple the maximum dispersion than what would be found inside the galaxy, astronomers stated. But other research has been back-and-forth on whether these are actually extragalactic bursts. One 2013 paper supposed it could be colliding neutron stars from far away, while another said it could instead be nearby stars flaring up. The research was published in the Astrophysical Journal and is also available in preprint version on Arxiv.